Chocolate is a delicious treat, but it also doubles as a skincare ingredient. There’s chocolate in my homemade foundation powder and even in my dry shampoo recipe for those busy, greasy hair days. 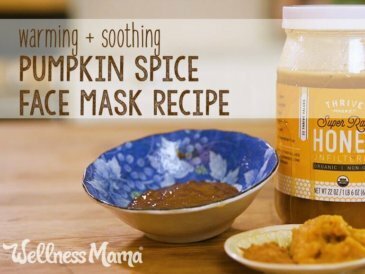 This edible chocolate face mask features raw cacao powder and other ingredients right from the kitchen that make skin healthier, the tasty way. Hmm, make a smoothie or treat my skin? Maybe I’ll double the recipe and do both! Is Chocolate Good for Your Face? Cacao powder is really the star of the show here. 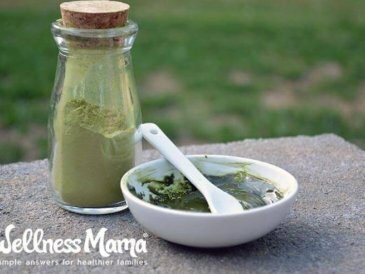 This nutritional powerhouse is high in antioxidants, magnesium, selenium, manganese, zinc, copper, potassium, phosphorous, iron, calcium, pantothenic acid, folate, B6, nicain, and riboflavin. These minerals and other components work together to prevent skin cell damage and repair damaged skin. The caffeine in cacao increases circulation to the skin to reduce redness and tone skin for a firmer appearance. Theobromine is another antioxidant found in cacao less stimulating than caffeine but still known to increase blood flow to the skin. Theobromine has also been studied for its ability to protect against sun damage and even cancer. This chocolate face mask is completely edible, and I admit, it’s hard to resist the temptation to lick the bowl. It’s as healthy to eat as it is for the face though, so no judgement if you munch a little while waiting to wash it off! An interesting study found extremely high levels of the antioxidant dopamine in both the peel and pulp of bananas. Bananas also contain a variety of polyphenol antioxidants that help to protect cells and preserve the integrity of the body’s cells. I love the effects of banana on the skin, even though I don’t love bananas. But if you aren’t a banana fan either, you can leave this out or substitute a little extra yogurt. Grass-fed yogurt has a different nutritional profile than conventional, grain-fed yogurt, making it the ideal choice for consumption and this face mask. It also boasts about 62% higher in anti-inflammatory omega-3 (while grain-fed cows produce dairy high in inflammation-causing omega-6). Grass-fed dairy products are also up to 5 times higher in conjugated linoleic acid, or CLA. CLA has been shown to reduce inflammation and fight free radical damage that can lead to cancerous tumors. Yogurt is also rich in probiotics, calcium, vitamins A and D, B12, B2, and phosphorous. 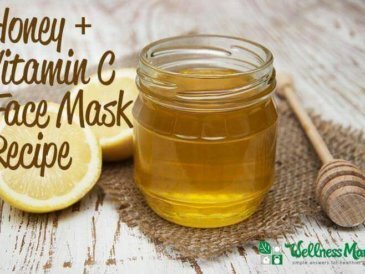 I frequently wash my skin with raw honey for its skin-soothing benefits. 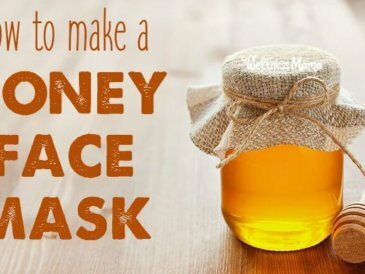 Raw honey is naturally antibacterial, making it great for acne-prone skin types. 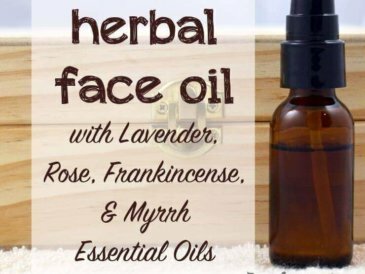 This sticky substance is anti-inflammatory, helps heal blemishes, balances pH, and cleanses pores. It’s highly moisturizing and combats the signs of aging skin by increasing firmness and decreasing skin imperfections. This recipe makes enough for two face masks. Mash the banana with a fork, then add the rest of the ingredients. 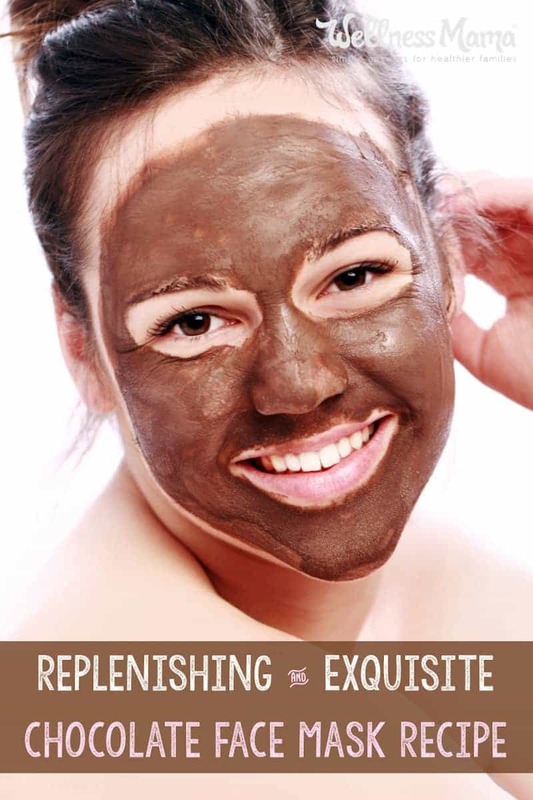 Generously apply the chocolate mixture to the face and neck. After 10-20 minutes, wash the face mask off. 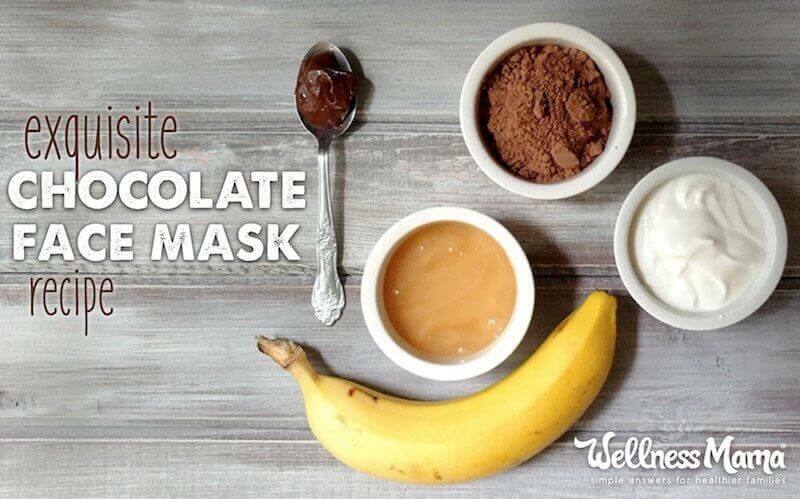 Tip: Double the recipe, because you’re bound to have some chocolate cravings after using this mask! Are you dying to try this tempting chocolate face mask? What other edible beauty concoctions do you mix up at home?